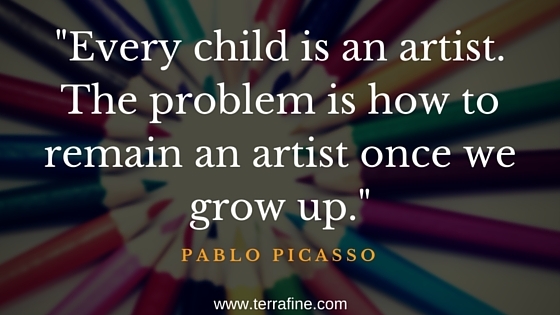 Children are born creative artists. They are curious, bold, and uninhibited. If nurtured, this creativity and love of artistic exploration will continue into adulthood. Unfortunately, this flame is all too easy to extinguish. Creativity is having fresh ideas, insights and innovations. All aspects of life can be enhanced by thinking creatively, business, spiritual, personal. Within art, it’s following your curiosity, being fearless about exploring materials, and boldly expressing yourself and ideas. When we teach children how to think and act creatively, allowing them the freedom to explore and trust their own judgments, we are giving them tools to succeed in every area of life. 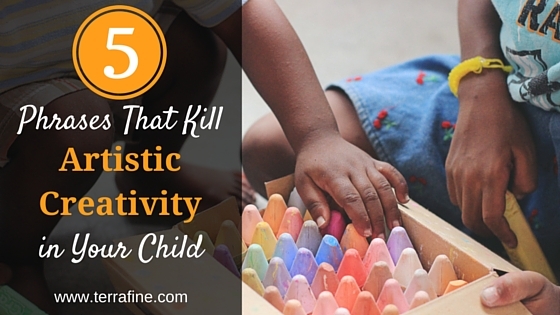 Parents have the opportunity to nurture artistic creativity in their children or to destroy it. Young children are especially sensitive to our words and actions. If you want to encourage creativity and a love of art, avoid the following phrases when discussing your child’s art. Adults are obsessed with logic and meaning. For children, their art isn’t necessarily “about” anything yet. They are busy exploring materials, emotion, color theory, blending techniques, learning how to control their hand movements, all the important foundational work for creating art. By focusing on “what it is” they are making, children will feel obligated to make their scribbles or lines look like a house, a dog, a tree, etc. so that the adult will recognize it. Creative editing and self-consciousness kill artistic exploration and curiosity. Typically, young children don’t have the mental toolkit to create realistic artwork until age nine (if even then). There are five stages of development in children’s art; Scribble Stage (2-4), Pre-Schematic Stage (3-7), Schematic Stage (6-11), Transitional Stage (9+), and the Realism Stage (12+). Understand children need freedom to explore materials, to express themselves, to create without fear of judgment. Try this instead: Make specific comments, such as “I see you’ve used a lot of yellow”, “You’ve worked really hard on this”, or “Tell me about it”. This allows the child to express themselves and share their process with you. Introduce terms such as “design”, “pattern”, and “composition” with your child to help express what they’ve created. This is especially useful when their drawings seem like a jumble of colors and lines. By describing their efforts as being a design (or pattern or composition), there’s no pressure of their drawing “being” anything. What’s the problem with “Good job?” It’s meaningless praise, a generic automatic response, and more importantly, it’s harmful praise. It has no value to children, yet parents have been brainwashed into thinking that it will build their children’s self-esteem. Children draw and paint and create because they LOVE it, not for your approval. All children are born with an intrinsic motivation to create and build. They do it because they want to and receive personal satisfaction from it. Want to kill that love? Studies show that rewards, such as “good job”, blue ribbons, or money, destroy intrinsic motivation. These rewards actually decrease their desire to perform activities, such as drawing, for the pleasure of it. Try this instead: Avoid praising your children about areas over which they have no control. This includes any innate and unalterable ability such as intelligence, physical attractiveness, athletic or artistic gifts. Direct your praise to areas over which your children have control – effort, attitude, responsibility, commitment, discipline, focus, decision making, compassion, generosity, respect, love, etc. Look at why exactly your children did something well and specifically praise those areas. Logic has no place in children’s art. Did they create an elephant with six feet and two tails? So what? Don’t correct them! You’re trying to help, I know. Restrain yourself. Leave the room if necessary. Children are natural scientists and artists. They follow their curiosity wherever it may lead. Art helps them to explore emotions, explain the world around them, and to work out problems through fantasy (joyful and scary). What seems “wrong” to us may be a creative or mental breakthrough for them. Try this instead: Say nothing. Your commentary isn’t really what the child wants anyway, just your attention. Be present. Show you’re interested and listen to what they have to say. In the same family as “good job”, this statement is automatic and has little value. Maybe your child intended it to be a scary picture. Maybe it’s really not that good. Kids aren’t dumb. They know when they’ve created something awesome without your input. If you label everything they create as “beautiful” and “fantastic”, they will know you’re not being honest. Also, when we put our evaluations and judgments onto a child’s artwork, it actually robs them of the opportunity to judge and evaluate their own work. Try this instead: “I see red, blue and yellow! Can you tell me about your picture?” By making an observation, rather than offering an evaluation, you’re allowing your child to decide if the picture is beautiful or not. By asking your child’s input, you’re inviting them to begin to evaluate their own work and share their intent, skills that will serve them well in the future. This screams, “what you’re doing is not good enough”. Other versions of this are, “just keep practicing” and “you’ve got a long way to go”. The intent may be to encourage your budding artist to “improve”, but it comes across as judgment and criticism. Not everything your child makes is a masterpiece. In fact, most of what children create are not even “finished” works. And that’s as it should be. They’re focused on enjoying the process and materials, not their future art career. Too often, parents focus on the future implications of their children’s interests. Have a child that loves numbers? They’ll grow up to be a scientist or accountant. A child who loves building with blocks? You have a future engineer or architect on your hands! A prolific drawer? A brilliant artist for sure. Try this instead: A parent’s focus should be on the exploration—or the journey—rather than thinking about the destination— or where this interest might lead. Above everything, teach them to continue to LOVE to draw. Do not talk about getting better. That will only fill them with anxiety about creating “good” art. And that unrealistic standard frequently turns to fear of failure and ultimately quitting art completely. Without that LOVE for art, the intrinsic motivation to create, it does not matter how well skilled the artist later becomes, they will eventually give it up. They won’t have the strength to sustain them through the battlefield of being a career artist. 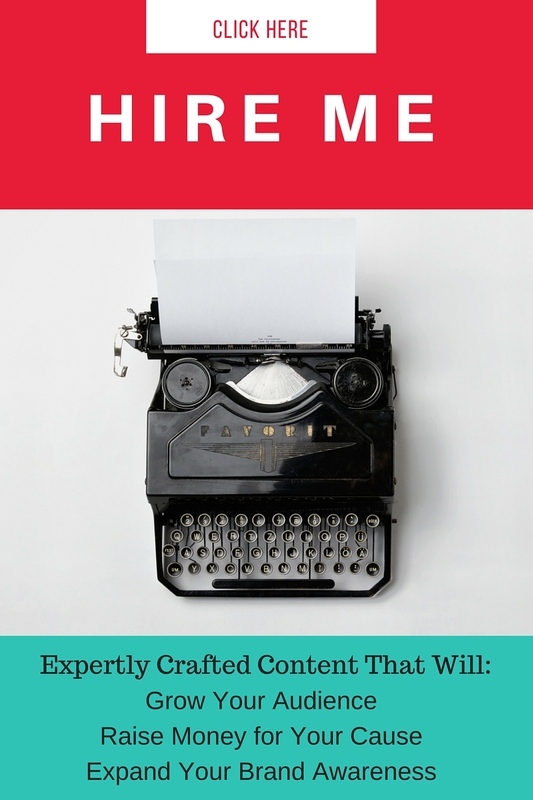 Are there any creativity killers I’ve left out? Share in the comments below. If you enjoyed this article, please share it! This entry was posted in Creativity, Education, Parenting and tagged creativity, criticism, learning, love, young artist. Bookmark the permalink. These phrases sound hard to break, but it all makes sense! I don`t have children now, but I`ll try to keep this in mind the next time a kid shows me something they`ve done. It is hard! It really boils down to being thoughtful and respectful of their creative process, not interfering or placing judgements on it. Adults have to remember that there is nothing we can teach children about being creative. We should sit and learn from them!